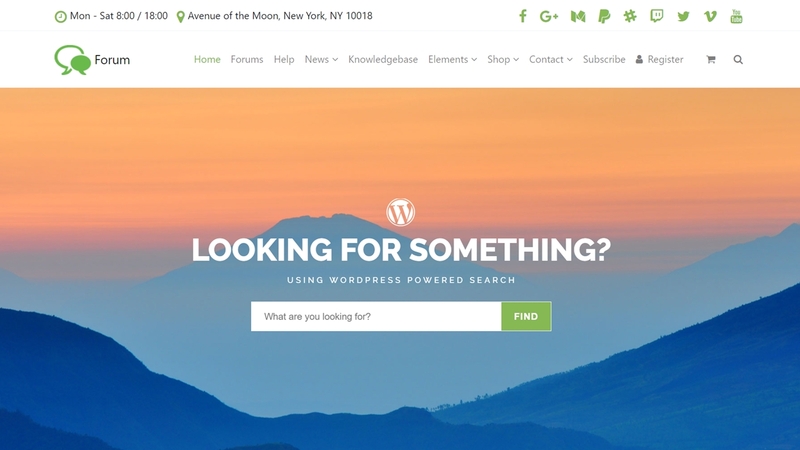 Forum WordPress theme for an online community. Creative and outstanding, It dramatically improves one of the most important parts of brand recognizability, attention and confidence. Contains every page and detail polished, excellent colors selection, consistency, clear typography and usability. It extracts bbPress and BuddyPress features and delivers it in a better form. Let users register on your site and start creating profiles, posting messages, making connections, creating and interacting in groups and much more.